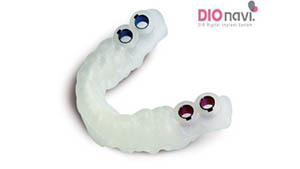 The latest invention in Dentistry is the Computerized Surgical Guide Dental Implant; one of them that Dr Yousif is using at Bright Dental Care clinic is the DIOnavi. Surgery ( Flap-less surgery). 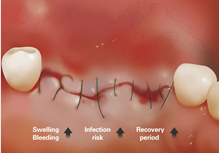 What is DIOnavi Surgery ? 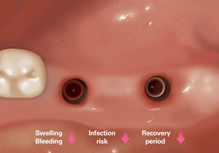 It is the newest and up-to-date digital navigation implant surgery through 3D computer simulation surgery, it determines the optimal surgery plan with minimal or no incision ( Flaps ) required and less bleeding and pain. So with this system we can perform a safest and optimal surgery path for the dental implant in the bone by finding out the thickest and widest bone tissue and keep away from any vital structure in the jaw like the nerve and arteries. Advantages over Flap Surgery ? 1. No incision ( Flap ) needed. 3. Less or no Bleeding. 4. Less or no Pain and discomfort. 6. Fast Procedure and Recovery. and patients who were afraid to get a surgery, and senior implant. Flap – Less Surgery with DIO Nav. If you want to get a free and out-off obligation’s consultation for your dental implant’s need , please contact our surgery on 02 8786 0522 and book your appointment today ..